Microbes with enhanced 1-butanol tolerance have the potentials to be utilized in various biotechnological processes. To achieve the rational design of such strains, we previously conducted an untargeted metabolomics analysis of Bacillus subtilis under 1-butanol stress and uncovered a novel type of microbial responses as the alterations in the glycerolipid and phospholipid composition. However, the current knowledge about the relevance of these changes on 1-butanol tolerance remains quite limited. Here, we constructed the B. subtilis mutants with disruption in the pssA, ugtP (U), mprF (M), yfnI, and yfnI/mprF genes in the membrane lipid biosynthetic pathways. The 1-butanol tolerance test indicated markedly increased and decreased 1-butanol resistance in M and U compared to the wild-type strain, respectively, and slight effects in other strains under high stress level. Further examination of the lipid contents of these strains in the presence of 1-butanol by liquid chromatography–mass spectrometry demonstrated an elevated ratio of neutral and anionic to cationic lipids in direct relation with an improved 1-butanol tolerance. Last, cell morphological studies showed the shortening of only the U cells, compared to the wild-type. All strains including U were capable of elongating by 14–24% under 1-butanol stress. 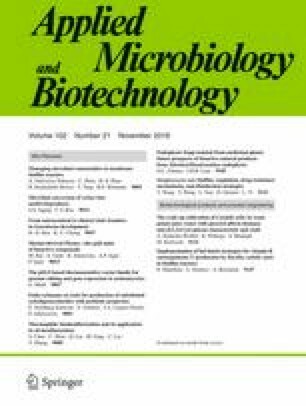 Together, the studies indicated the involvement of membrane lipid biosynthetic genes, which regulated glycerolipid and phospholipid composition, on 1-butanol tolerance and allowed for the procurement of M with enhanced 1-butanol tolerance trait, highlighting the usefulness of the overall approaches on discovery of novel biological insights and engineering of microorganisms with desired resistance characteristics. We thank Dr. Andrew King (Department of Chemistry, Faculty of Science, Chulalongkorn University) for editorial help in preparing this manuscript, and Pensuphat Thongkachok for her initial help with the project. This research was supported by the Asahi Glass Foundation, the Office of the Higher Education Commission, and the Thailand Research Fund (MRG6180002). The opinions expressed in this paper are the sole responsibility of the authors and do not necessarily reflect those of the funding agencies or Chulalongkorn University.